Do you know a narcissist who lives in a role of being a perpetual victim? Someone who hates everyone in the world, or at least a whole bunch of people, because somehow, those people are the cause for his or her misery? Have you noticed that often, these kinds of narcissists seem to be completely alone in the world? They have no regular source of supply, and they just seem to be taking out their hateful energy on the world at large? Sometimes, a narcissist just sort of loses their ability to obtain sources of narcissistic supply. This can happen when the narc’s family and friends have just had enough and one-by-one, abandon them. In some cases, the narcissist loses their ability to attract new supply because they get older and lose their looks, or because they become so self-involved that they forget how to do the whole love bombing thing – or any combination of these things. But a narcissist really NEEDS that supply to continue to exist, right? So what happens then? Do they become a real person, or do they just sort of lose it? 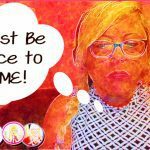 When a narcissist is unable to obtain narcissistic supply, what can you expect? Some people call this a narcissistic crisis or a collapsed narcissist. Whatever the label, it’s a big problem – and often, not just for the narcissist, but also for the people around them. 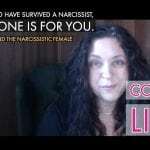 A collapsed narcissist is a narcissist who has not been able to obtain the proper narcissistic supply – as in, a person to help bolster his or her self-worth, self-esteem – value as a human being. In essence, they feel like they’ve been denied the very supply they need to exist – their proverbial life’s blood. This leads to narcissistic injury, and as the collapsed narcissist writhes helplessly in the pain of not getting what they believe they’re due (whether it’s meeting some big goal or simply getting the admiration and praise they feel they rightly deserve), their whole world feels like it’s falling down around them. The narcissist loses self-esteem and their self-image is nearly erased. They begin to self-devalue and self-doubt. They literally hate themselves to the point that they project this self-hate on to everyone else around them. Since everyone “hates” the narcissist, they reason, the narcissist may as well hate them back. There is no more (or very little) social life for the collapsed narcissist. People, the narcissist reasons, are all fake and stupid anyway, so why should he/she bother to be kind to anyone? At this point, they live in a constant attack mode, attempting to force people around them to provide the much-needed supply. They are overly sensitive and full of rage and hate. They throw temper-tantrums that would rival a two-year-old, and are outright intolerant, disrespectful and often even violent in words and actions to the people around them. The previously-maintained facade of a nice/cool/easygoing/friendly kind of person falls away and the true face of the narcissist is revealed – rage, ugliness and general disgust for humanity. While they are still unable to deal with any sort of blame, criticism or perceived disrespect of themselves, they are actively projecting their own self-hate to the people in their lives – or maybe random targets such as people of different religions, races or even political affiliations. This is when the gloves come off and the narcissist blasts out his or her blatant bigotry and small-minded ways. You’ll see that anyone who is different from the narcissist is quickly minimized and put into a “not good enough” box (to put it very mildly). This is also often when narcissists will go all-out to abuse their partners, whether physically, mentally or otherwise. Some narcissists will excessively cheat, gamble away their money or even physically abuse their partners and their children. 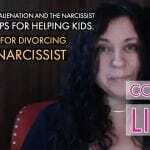 In some cases, it’s worse – the narcissist may even cause the death of a partner and/or their kids. It’s horrifying. Following the falling of the narcissistic facade and the outrageous abuse that comes after it is the rock-bottom kind of stage for a narcissist – it’s when they get depressed. They may threaten or even commit suicide, and they could also take serious action to hurt large numbers of people, which has occurred even in recent months in certain cases I won’t mention here. Some narcissists will get desperate enough to enter therapy at this point, but many will just go completely bonkers and completely lose control. This is when you hear about them on the news. The loss of supply triggers defensive behaviors, such as the whole “leaving my family and starting a whole new life,” behavior – in which the narcissist literally flees what he or she sees as the scenes of their failures and attempts to literally start over again. If you look at the narcissistic personality as a sort of house built on stilts, imagine that the lack of narcissistic supply is a strong wind that causes the house to come crashing down. 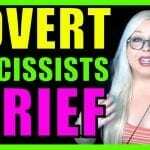 The narcissist has two choices – they can try to become a whole person and develop real coping skills (and in some cases, obtain new supply), or they can remain collapsed and poison everything else in their world in the process. So back to the house metaphor – the narcissist could burn down all the houses around theirs in order to take revenge on everyone and everything else. What it all comes down to is that regardless of the reason for the narcissistic collapse, the narcissist blames everything and everyone EXCEPT him/her self. They must believe, ultimately, that they are a victim and that nothing is his/her fault. If you’re stuck with a collapsed narcissist, there is one escape: you must leave and never look back. You must resist the urge to help this narcissist and take care of yourself and your kids, if you have them. No contact is the only solution. WOW I so can relate to this! Great topic! No contact is the ONLY answer. He has physically, mentally and emotionally collapsed, an excellent way to describe what his life is like since I left. BUT he tells his sisters he has never been happier. His life is in the crapper but he is happy. I can tell you who truly is happy, ME. Rebuilding my life, surrounded with love and support but most importantly, I cherish and care for myself like never before. Question: Just before I left he and I were sharing how we felt, he was fine when he was talking but as soon as it was my turn I swear I saw his eyes turn black. Has anyone else experienced this phenomenon? most of my narc experience has been with overt or covert narcs, but I also had a nasty experience with a collapsed narc who stalked and harassed me between 2011 and 2013. your description fit him to a tee. they are by far the scariest narcs of all. truly dangerous.